The Foamglas® (Readyboard) thermal insulation boards of 1200mm x 600mm x…mm, are made of alumina silicate cellular glass composition having a density of 120kg/m3 and a thermal conductivity at 10°C of K=0.042 W/mK. The face of the boards has a polyethylene lining sheet on one side, factory applied with a bitumen film. They shall be adhered to the surface to be insulated using the blob method and an adhesive which complies with the specifications of the cellular glass manufacturer. If required, this adhesive can be used to fill the joints between the boards in order to make the whole system totally impermeable to water-vapour. 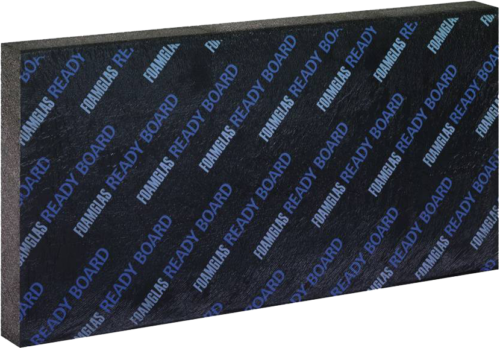 A bituminous membrane SBS / APP should be torch-applied direct to the surface of the readyboard.Foamglas® is the ideal insulation for use on underground walls as it can be applied directly to the wall and can be used with or without a waterproof membrane. Being totally impervious to water and water-vapour, it will not be affected by moisture which will occur in this type of application. It can be used with or without a protection board.Foamglas® does not deteriorate with age, ensuring that the insulation values remain constant. 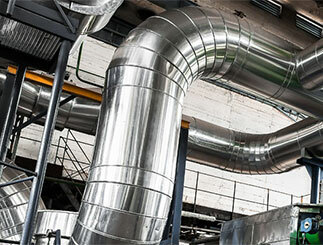 Foamglas® is rigid and dimensionally stable and does not shrink or warp with the effects of climatic variants. Its coefficient or expansion is similar to concrete and there is no danger of the joints between the boards opening up.Foamglas® is totally non-combustible and cannot contribute to a fire nor give off toxic fumes or smoke; it is also totally free from HCFC, HFA and pentane.